Looking for free Grid Style Blogger Templates is not that hard, and is not that easy though. We can find some free grid blogger templates or themes out there, but most of them are not as what we expected. A simple and clean grid style theme looks just nice, but probably it lacks on important features that we expect it to have. 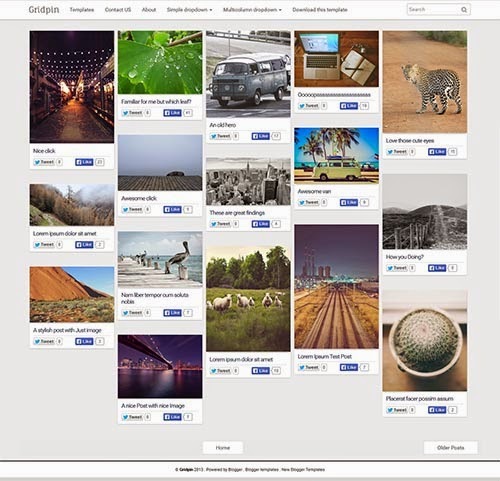 When we found some other grid style themes with extra features that we're looking for, the time we test it live, we just realise another negative points.. end up with give up and frustration. Anyway, here are some nice and up to date features available Free Grid Style Blogger Themes for Design & Arts Portfolio, Photography, Video and for eCommerce as well. 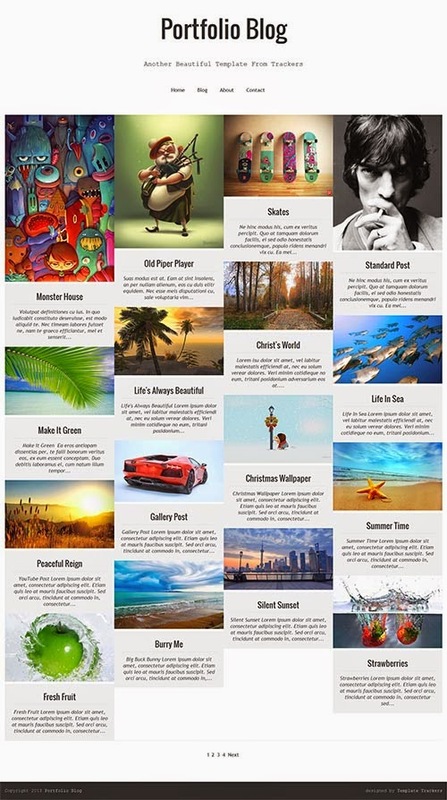 Mostly these themes were coded from WordPress origin themes. VIPfolio theme looks professional and beautiful full page, edge to edge 4 columns responsive grid portfolio theme with no gap between post thumbnails render elegant template when using for showcasing design works, arts & illustrations, or photographers will love it. Simple yet modern interface attracts me to download it, to try it out on my personal portfolio blog site. I've tried this theme, and my advise is, if you use multi-size images, the main front page will showing un, to reate a post with an image before jump break and publish it. 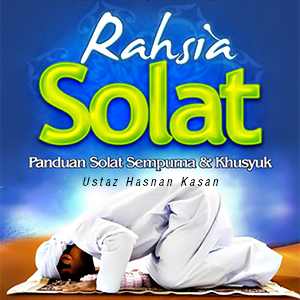 Template will automatically use the first image in article to create a thumbnail. Xmax One is an another professional free responsive one page blogger theme for multi-purpose website, for designers, business, individual, or any kind of website and for blog as well. 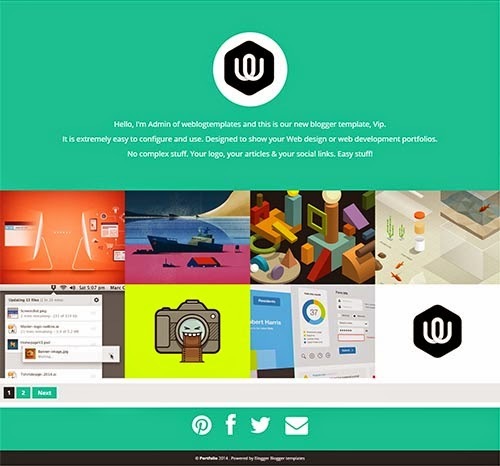 This one page design follows today web design trends where we usually see in WordPress themes. The key to this theme is one page designed that works brilliantly on all devices and also perfect for Apps developer to showcase their Apps on Android and iPhone devices. It features and functions including stick header, featured posts, slider, location maps and etc. This is a responsive portfolio blogger template suitable for photography sites, design and illustrations showcase, personal blogs, portfolio blogs, etc. The main page features (almost) edge to edge posts thumbnails at 4 columns grid (depends on screen size) are big enough to showcase your masterpiece from the main page. 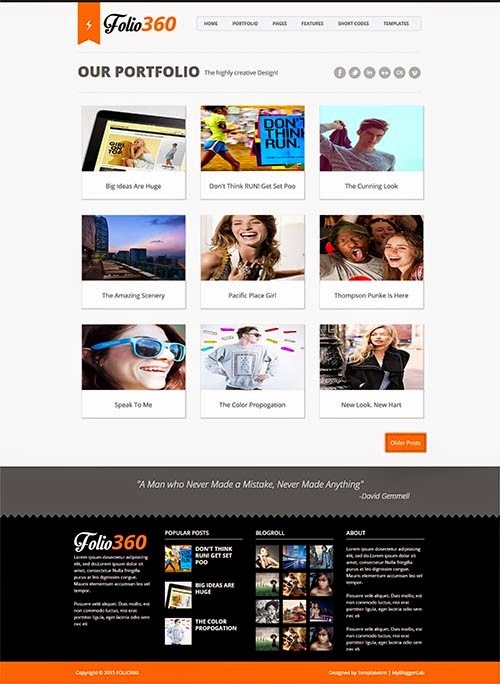 Designed for designers, Folio360 blogger theme is for who loves to show off their portfolio. Claimed to be 'heavy duty', powerful, highly flexible and customisable theme which will indeed help you to grow. But.. sadly this beautiful theme is not responsive. It was at least 2 years old (or more) and still version 1.0, no support by the theme provider. 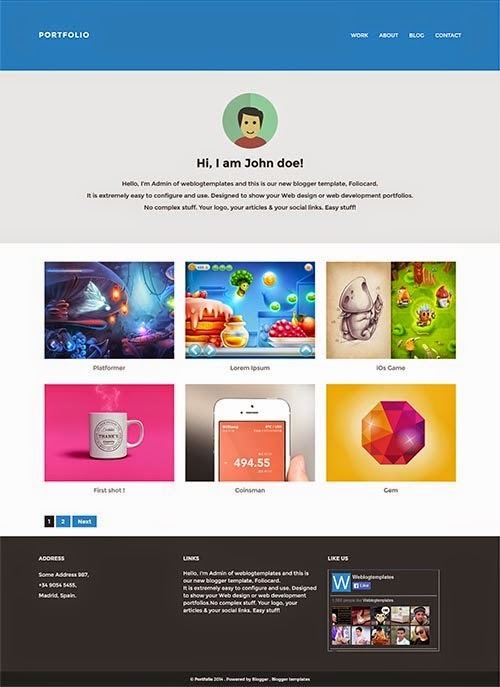 Minuet is a grid style blogger template with parallax header and tablet optimized layout. This template is coded in best practice and featuring a clean, modern, and minimal design, packed with many possibilities from Template Designer. 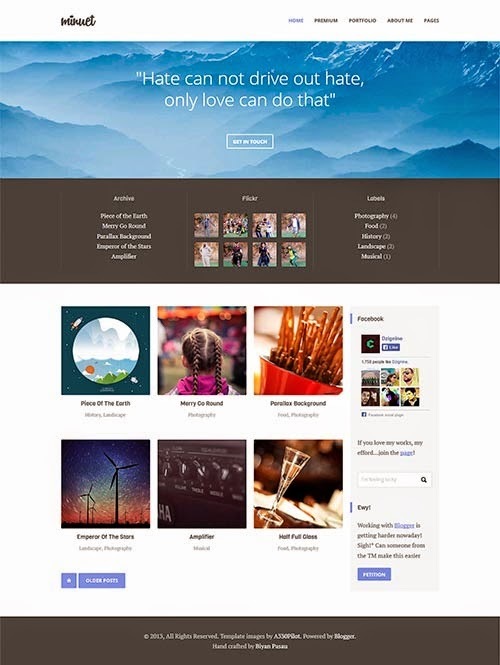 Grid Pin is a professional responsive photography blogger template for sharing photos and designs as well. This theme using masonry responsive feature to give Pinterest like masonry effect in home page, search pages, category pages and archive page. Posts and pages will have default 2 column layout. Grid Pin theme layout seems in random arrangement, because it features full thumbnail images (no standard size), instead of cropped images like other grid theme. And one of the good things of Grid Pin is, it have twit to Twitter, Facebook like & pin to Pinterest ready on every post in the main page. 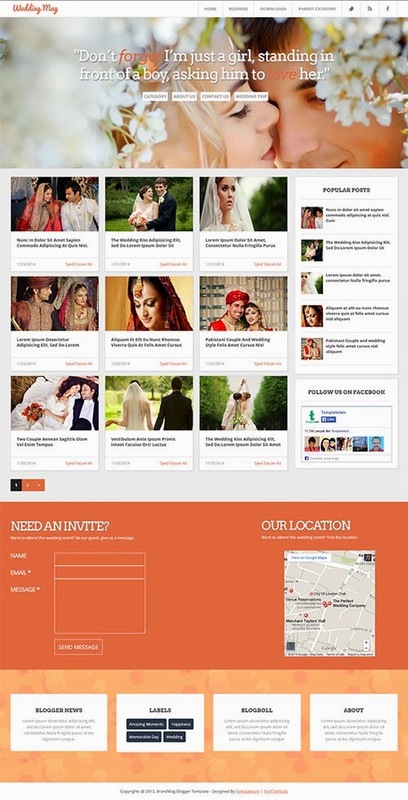 Wedding Mag is an another responsive blogger theme with professional looks. Event the name shows for wedding, this theme is suit for any type of posts or business purposes. There is a big full width featured banner image on the header to showcase your services with tagline in the middle. 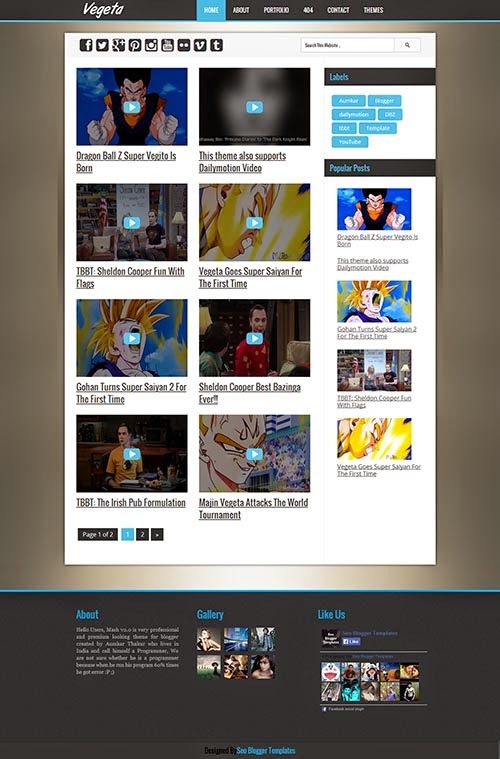 The name got nothing to do with vegetable ☺ Anyway, Vegeta is a Premium Video Blogger Template for blogger. This theme supports automatically thumbnail from YouTube and Dailymotion Videos. This has awesome youtube like layout with some amazing features. Vegeta also have added lots of space for advertisement, you can add ads banner to header, sidebar, post and footer. Auto Thumbnail detects youtube and dailymotion thumbnail automatically and display on popular posts, related posts and home page gallery. 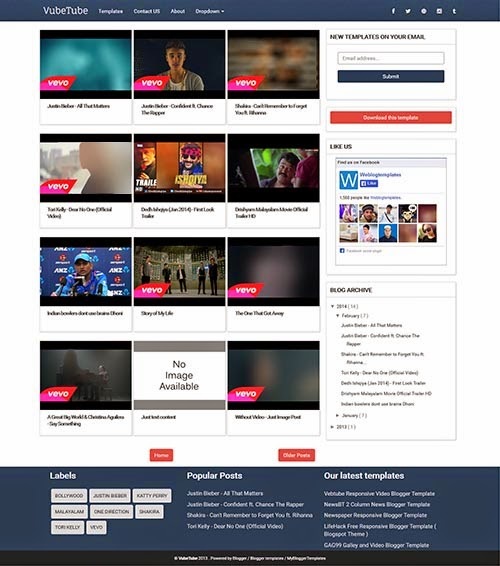 Blog Tube specially crafted for featuring all video posts, suitable for showcasing all video projects, video tutorials, video portal etc. 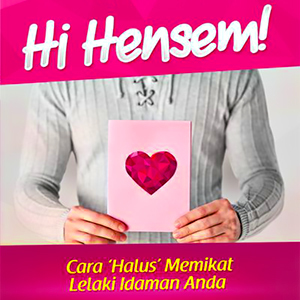 Its supports youtube, vimeo, dailymotion. The theme features There is a special script that 'Auto YouTube and Dailymotion Thumbs'. A script that fetches thumbnails of video posts automatically. You don’t have to upload images to show thumbs at home and other pages. This responsive blogger theme for video saves a lot of your time and also has video view counter as well, that count viewer numbers. VubeTube an another free responsive video blogger template specially designed to share YouTube and Dailymotion videos. Anyway this VubeTube blogger template don't have featured videos slider as Blog Tube above. Perhaps VubeTube a bit lighter than Blog Tube (I guess), so it's the better choice if you prefer faster loading video blog and your users will enjoy browsing videos in your blog. BetaCommerce is one of the best free responsive eCommerce blogger template for small business owners to quickly setup an online shopping store within minutes and start selling their products with ease. BetaCommerce provides you multiple options for customisation, easy to use flexible admin panel, and tons of professional eCommerce solution plus features. 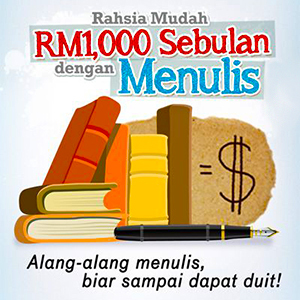 Suitable for every online shopping site, showcase and even portfolio. It supports PayPal integration and Billing System. This theme could be the turning point of your online business. Shoot-Pics is a free clean grid style blogger template ideal for photographers and designers to show their photos or artworks. It's loaded with best features which makes your blog responsive, auto resize thumbnail images on front page that works on upload image or URL link image. And this template have built-in big Slider too, you just need to add a new post label Slider for selected posts to show as slides at the front page. It provide center position logo on the header and has nice center aligned button numbered page navigation at the footer, but it lacks on footer widget for this free version. Unless you request one for the paid version. There are many more out there, but what I share here are some latest free grid blogger themes that you might also found in other website, or blog review about it. 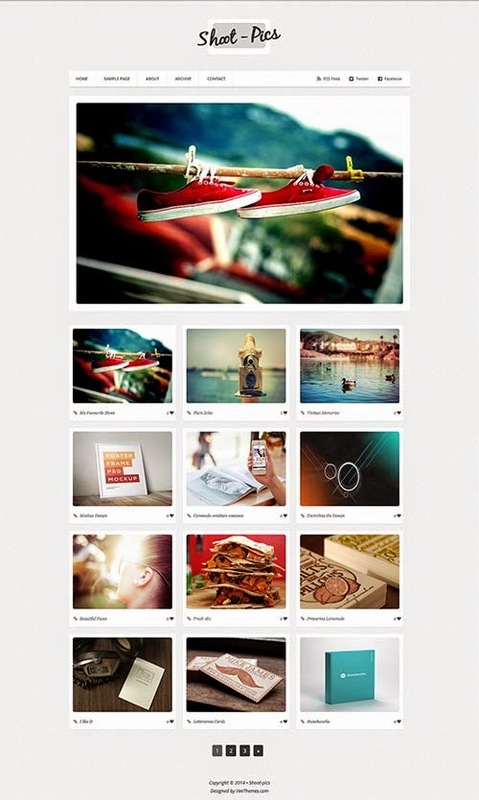 Other grid style themes may not up to the standard with latest features, or too old and not been updated. Just like this mindloading blog that used grid style Pinky Template, but the owner was removed the sources, or they discontinued the theme, but I managed to get it before they stop it. Credit to all templates provider, sources and infos. Very neat and clean review about best templates. This will help the newbies to choose the best. By the way use my mythemeshop coupon code to get up to 68% discount on premium themes and plugins. please read about thrive and their latest tools such as content builder, landing page etc. You can make from $5 to $75 per survey!